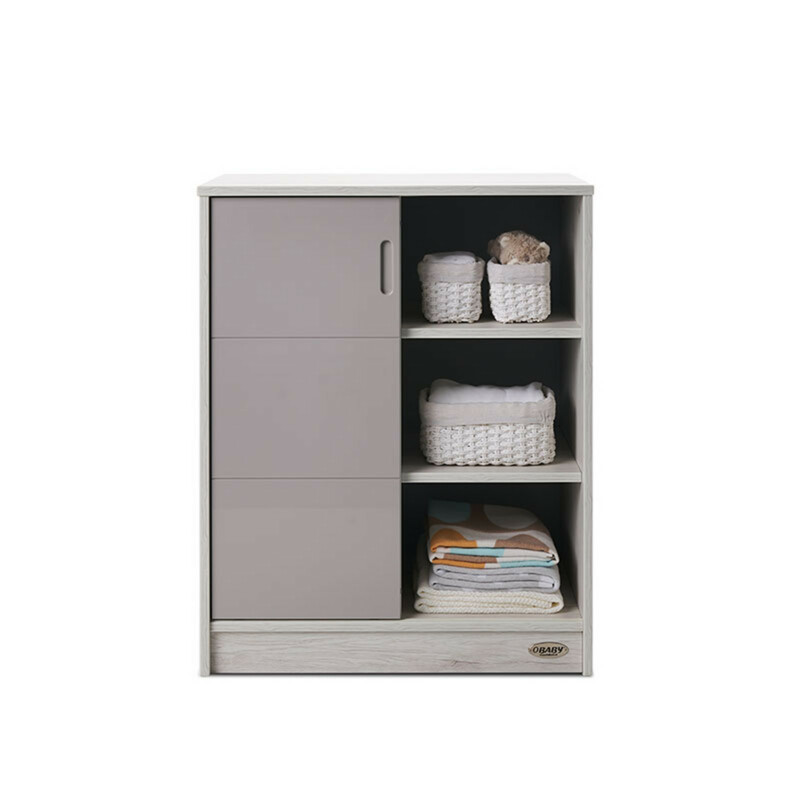 With high-gloss accents which complement its modern straight lines and stylish wood-effect finish, the Obaby Madrid Storage Unit offers a convenient storage solution for all your little one’s belongings. 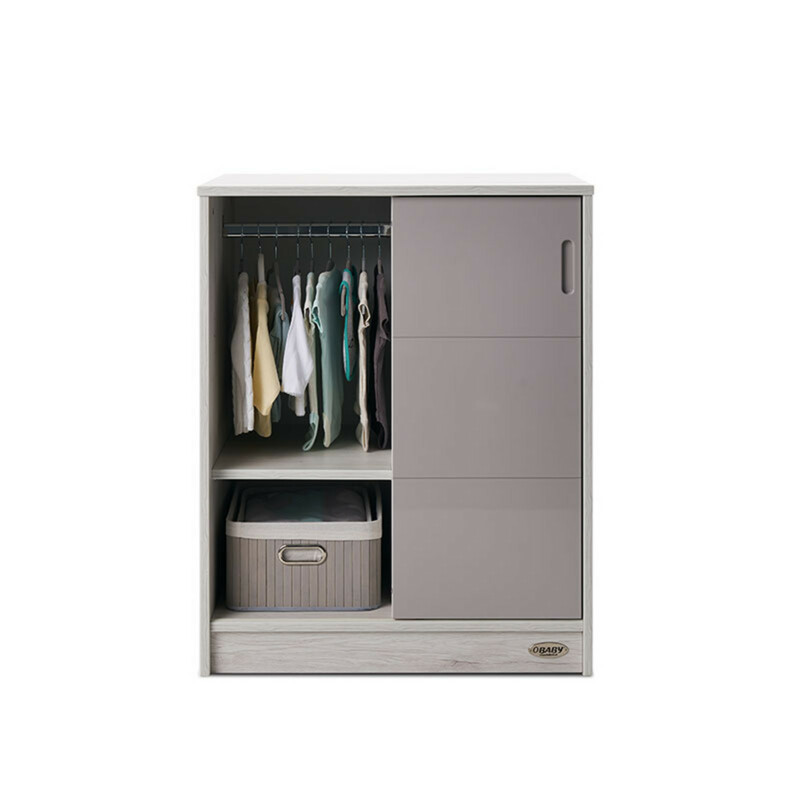 The right hand-side of the unit features three fixed shelves whereas the left-hand side has two adjustable shelves (with the option to replace with a hanging rail), providing all the convenience of a wardrobe in a small and compact space. The sliding door glides on smooth runners and comes complete with a recessed handle to avoid any hazardous snagging. 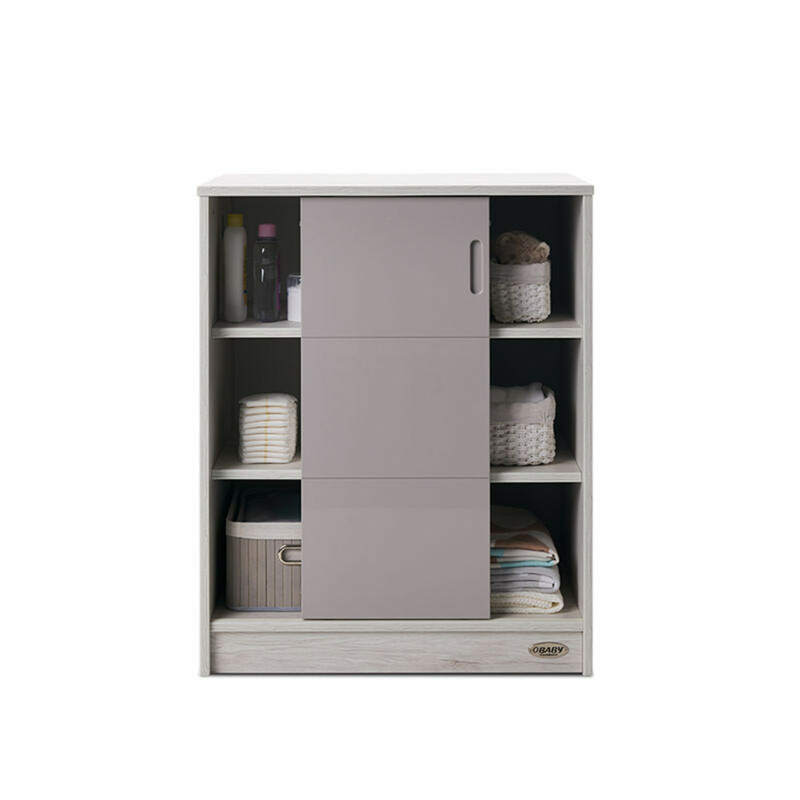 With a durable construction, the storage unit can be used for years to come (well after your little one is no longer a little one). 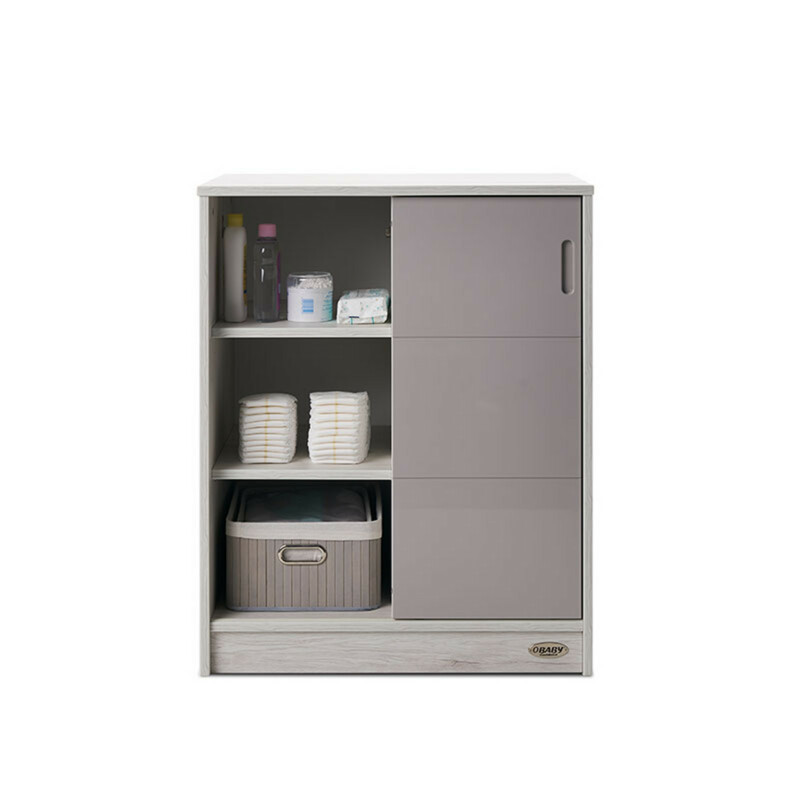 A changing station is also available (sold separately) which can be used to transform the storage unit into a changing unit.